In today's ever-evolving world of technology, real estate professionals must ensure they are able to maintain a fresh online presence while staying up to date with the latest technological trends. Will2Design has released a new product that now makes it easier for real estate professionals to be found online through the use of innovative website design practices. 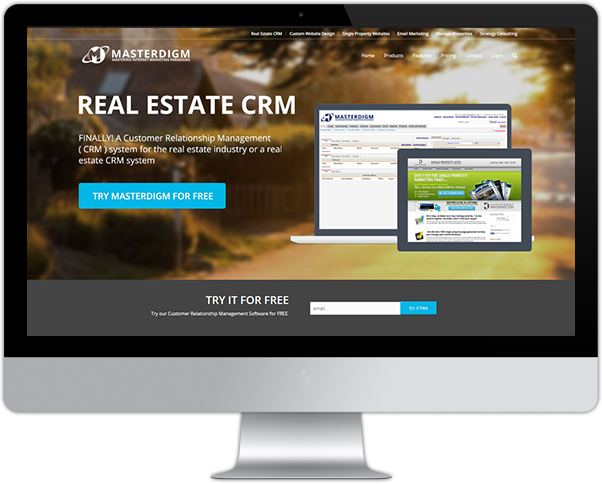 Masterdigm was designed based on the idea of providing real estate professionals with a fully featured CRM solution with WordPress-integrated websites. With this product, agents and brokers are able to share leads inside and outside the platform. 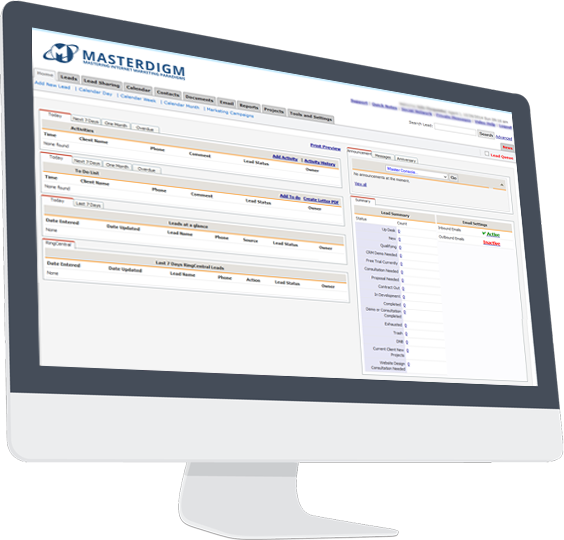 Since leads shared by agents to others are actually tracked inside the CRM, Masterdigm offers an excellent way to increase referral revenue. This web-based software product capitalizes on the need of professional real estate firms to maintain a presence at the top of search engine results. Over the past few years, the ability to do so has become increasingly more difficult, especially in light of new changes introduced by Google and other search engines. To maintain that all-important top ranking, companies must refresh their websites on a regular basis to prevent their content from becoming stale. As search engines such as Bing and Google continue to refine their algorithms in an effort to provide users with the best and most relevant results, all businesses, including real estate firms, must work even harder to stay at the top of the list. Masterdigm offers the ability to not only help uses develop eye-catching, professional quality websites but also be found more easily online. The platform includes a number of innovative features that make managing an online presence easier, including web form generation and email newsletter capability. For companies that need to maintain more than one website, the process is easy since Will2Design has included the ability to simultaneously manage multiple websites. This platform also includes the option to manage squeeze pages, landing pages, and capture pages for increased marketing opportunities. A customized lead workflow feature as well as the option to capture websites leads is also included. While maintaining an online presence is vital, Masterdigm also focuses on several other areas critical to the real estate business, including the provision of a sales management feature with internal reports and options for internal staff communications and training. Managing property listings becomes easier with real estate listing integration via MLS, RETS, XML, and IDX. Users can also utilize a contact management feature for contacting business vendors and suppliers. An e-commerce integration feature is also included, supported by Shopping Cart, PayPal, and Authorize.net. Since social media is now considered one of the best ways to attract leads and engage customers, Masterdigm also features social networking integration. Agents and brokers can even make use of a website blogging feature for continually generating fresh new content for their websites. As online technology and search engine optimization practices continue to evolve, platforms like Masterdigm will become increasingly important for helping real estate professionals to stay ahead of the competition.